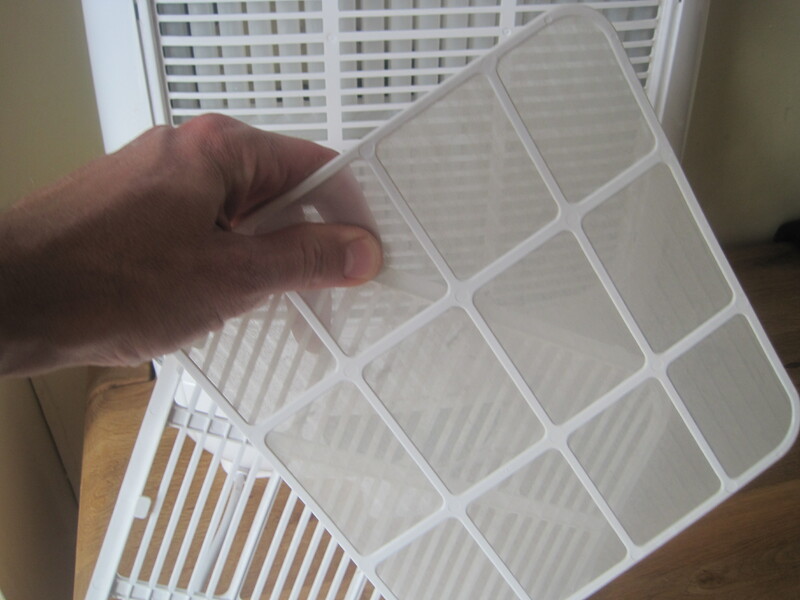 A basic but often asked question is hot to clean a dehumidifier filter. Rest assured the process is very straight forward and I have included a short video and a few photos to illustrate the procedure. So here is how to clean a dehumidifier filter. How Often Should You Clean a Dehumidifier Filter? Before we get started remember to clean the filter regularly as a dirty filter can impair the function of your dehumidifier. If using the dehumidifier on full power, such as when initially trying to get the relative humidity down or when using the unit to dry laundry, clean the filter once a week. You will be surprised how much dirt dehumidifier filters pick up. If using a dehumidifier on a moderate or medium setting then clean the filter of the dehumidifier once every two or three weeks. Once you’ve cleaned the filter a few times you will know how often you should clean it. First simply look at the panel on the rear of the dehumidifier and you should notice a nice slot to fit your fingers in at the bottom of this panel. Simply pull the panel out and down (or across) and the panel should slip out from the rear of the dehumidifier fairly easily. The dehumidifier used for illustration purposes is a Meaco DD8L Desiccant Dehumidifier which I personally own. The Meaco is a top-of-the-line domestic dehumidifier and I would recommend it highly. Turn the panel around and you should see the filter which can be slid in and out of this panel quite easily. Simply hold the panel and slide the filter out. You should notice dust on the filter. 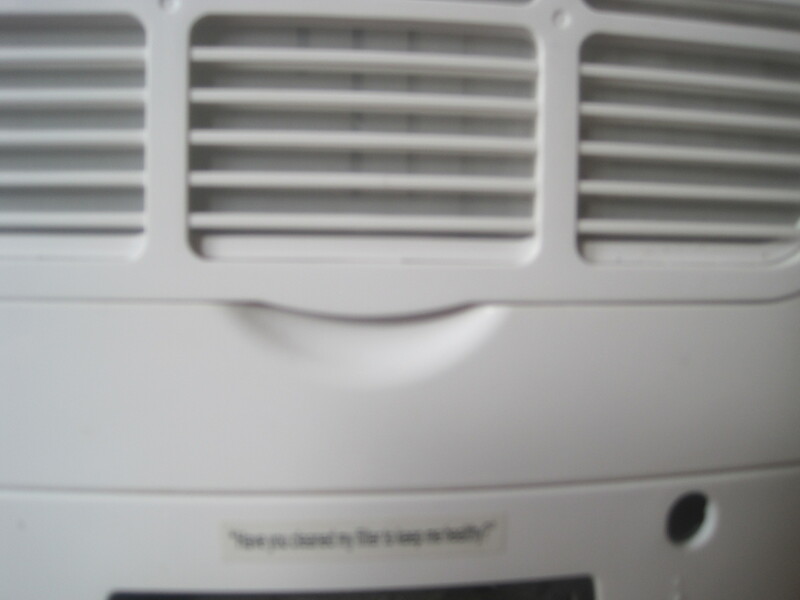 It is this dust that will impair the function of your dehumidifier if it is allowed to build up too much. Try running a finger over the filter and see if it clears a trail in the dust. If a finger trail is visible then you are probably cleaning the filter a little too late. Try to clean the filter a little earlier next time. 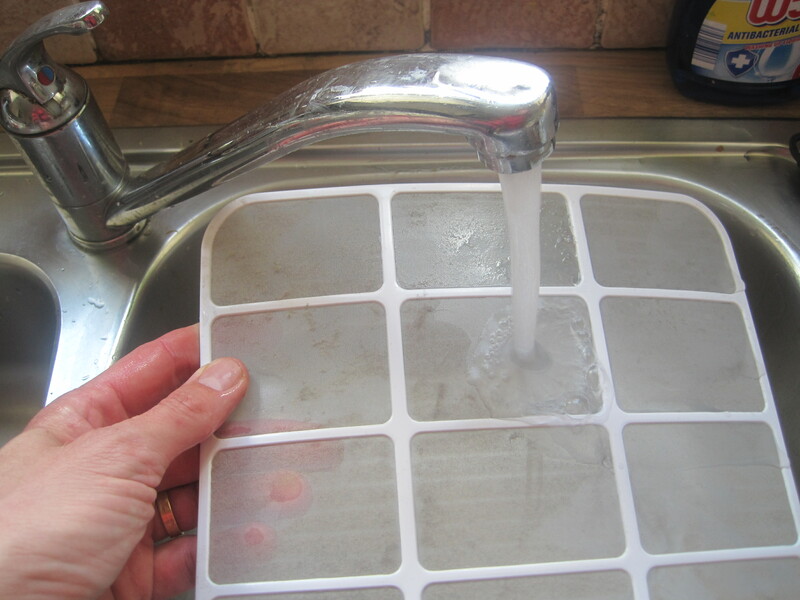 To clean the filter simply just wash it gently under a warm water tap or else you can lightly vacuum the filter. Personally I find the suction of a hoover to be fairly strong for a dehumidifier filter so I prefer to wash the filter. Once all the dust has been washed off simply wipe the filter dry with a tea towel. As you probably guessed you simply reverse the previous process. 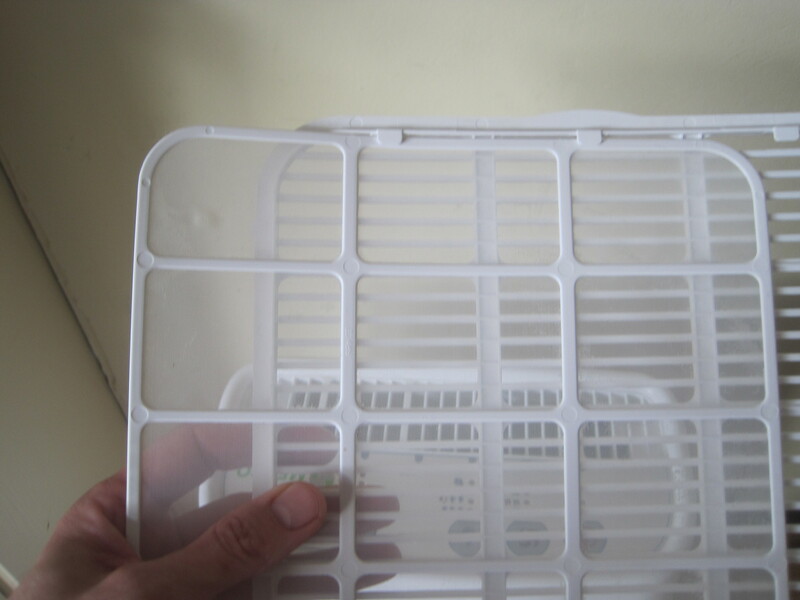 Slide the filter back into the panel and slot the panel back into the rear of the dehumidifier. Watch this video to see the above steps in action. The best type of filters to use are anti-bacterial filters as these type of filters kill bacteria upon impact. Whilst your dehumidifier might not come with an anti-bacterial filter please be aware that you may be able to purchase one. Anti-bacterial filters are great for those with respiratory problems such as hay fever or asthma especially when used in conjunction with an ioniser.